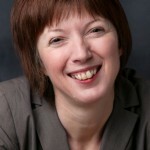 Frances O’Grady was introduced by Lynn Henderson, the vice-chair of the project board of the Foundation. Lynn is also this year’s STUC President and a longstanding national officer of the PCS union. Lynn was preceded by a welcome from the Lord Provost of Glasgow, Eva Bolander. The Jimmy Reid Foundation wishes to thank Glasgow City Council for facilitating the lecture in the Banqueting Hall in the City Chambers and to the numerous unions, trade union solicitors and other progressive organisations for sponsoring the published programme of the lecture. 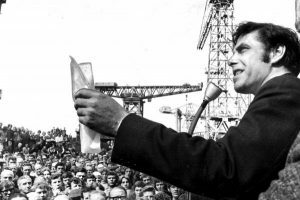 Jimmy Reid addresses workers at UCS during the work in. This entry was posted in Economics, European Trade Unions, Labour Party, Media, Politics, Solidarity, The Digital Economy and Unions, Trade Unions, Trades Union Congress, Unite The Union. Bookmark the permalink.